What is that loud noise? 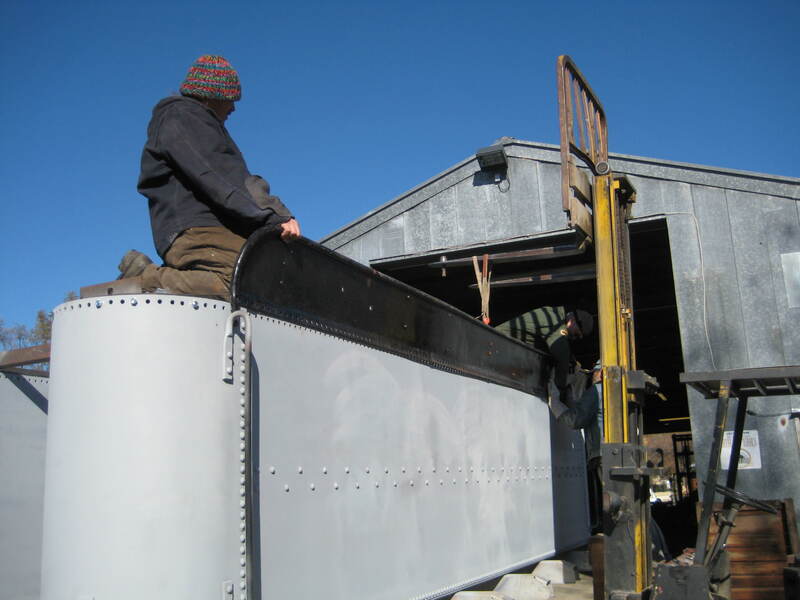 Last week the top of the tender was finally put in place for rivetting. We are preserving the original tender lid and coal boards, and marrying them to the new cistern bottom and sides. It took a bit longer than anticipated, to get them matched up. 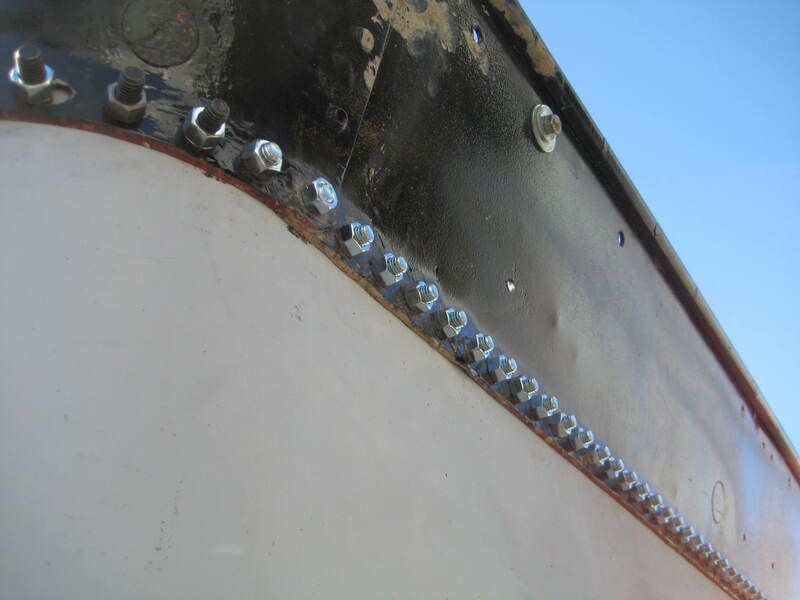 Then bolts were applied to the approximately 500 rivets holes, to hold it into position. During the rivetting process, one worker climbs into the cistern (with a spotter and negative air-flow machine). Then the bolts are removed in a coordinated pattern (to disperse the stress equally as the rivets are applied), and the worker in the tank watches in-the-blind as the red rivets to poke through, and applies the rivet snap with the pnuematic hammer. Kind of like an industrial version of “Whack-a-Mole” This work is being done in the roundhouse, you can’t miss it when its happening, it is loud! Come by and hear it for yourself. Hearing protection is strongly suggested. . .
DJ and Rob wiggle the coal board into place for rivetting. Coal board is held on with bolts until rivets can be applied. 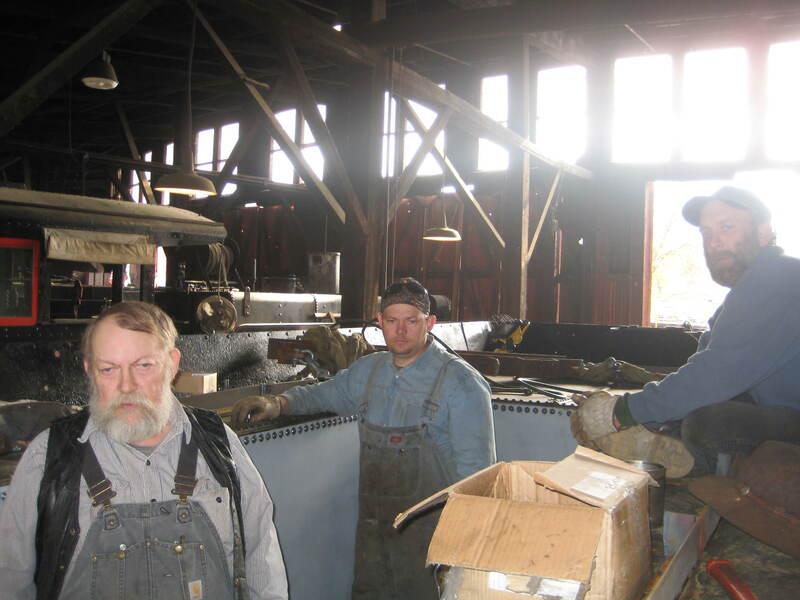 The crew waits for the next batch of rivets to heat. The top is preserved from the original tender. 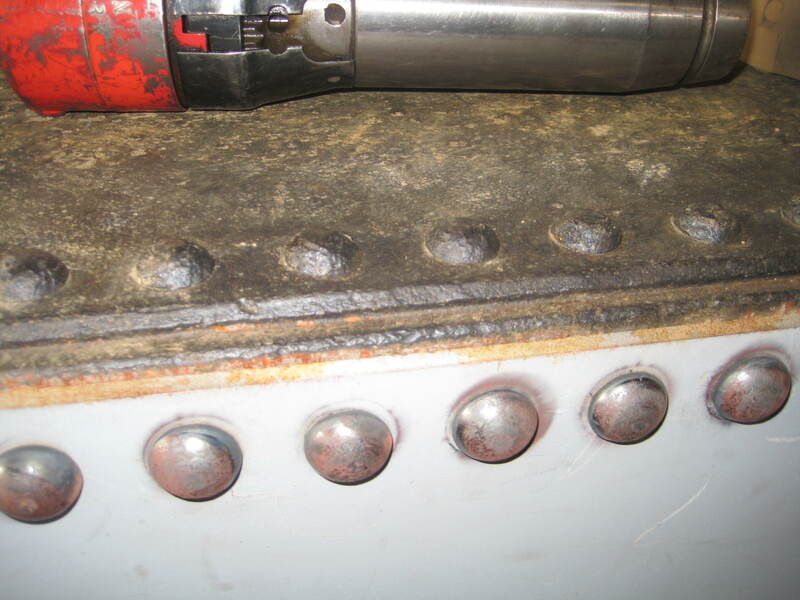 Here the old rivets can be seen alongside the new. This entry was posted in Rivetting, Staff, Tender, Volunteers. Bookmark the permalink. ← Join Our Team! Great Volunteers Wanted.